Lahore, Federal Public Service Commission Lahorehas issued FPSC CSS Viva Voce Schedule 2018 Lahore center. The candidates will note date and time of their viva voce as FPSC CSS Viva Voce 2018 Lahore (Phase-IV) will be initiated from 08-04-2019 to 19-04-2019. 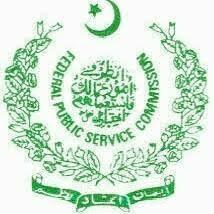 The candidates will note their roll nos, which are mentioned against particular dates and they will appear for FPSC CSS 2018 Viva Voce and command task activities in the morning time starting from 08:30 am. The candidates will read the instructions and they will follow instructions while attending their viva voce. You Can Get FPSC CSS Schedule Here.